With washi tape you can, create affordable and one-of-a-kind artwork for your home, and the best part is that when you’re sick of it, you can remove it and try a new design! If you’ve been to any craft store lately you might have noticed rows of colorful and patterned spools of washi tape. It’s everywhere these days, but originates in Japan. Washi is a Japanese style paper made using natural fibers such as bamboo or hemp. So washi tape is actually a cross between washi paper and masking tape. Although there are a lot of different versions on the market, true washi tape is slightly transparent, thin, easy to tear by hand, and can be used on an array of surfaces. It’s great for craft projects, but can just as easily be used on the walls of your home. It’s a simple way to get a wallpaper style look that’s affordable and easily removable. 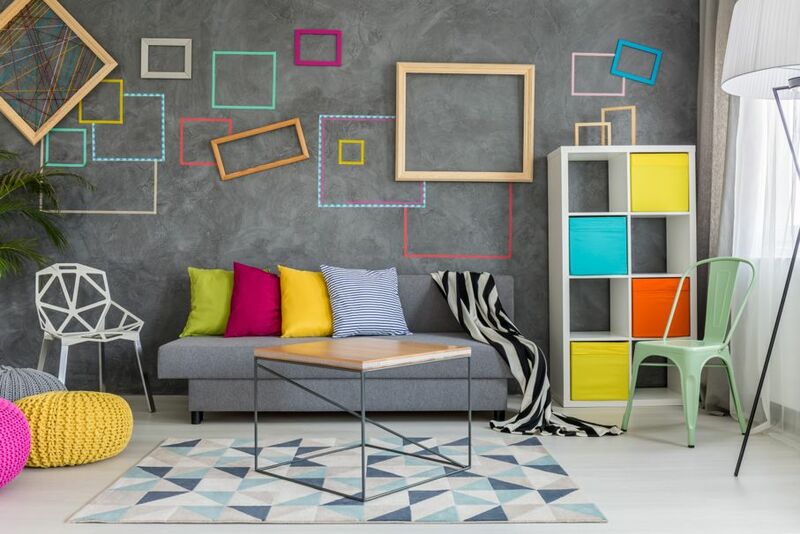 Here are our tips for adding unique style to your walls with washi tape. The color and pattern options for washi tape are literally endless. But keep in mind, on the wall you’ll want to use solid colors and skip the patterns. The pattern print is at such a small scale on washi tape, that it doesn’t translate well to a large wall. 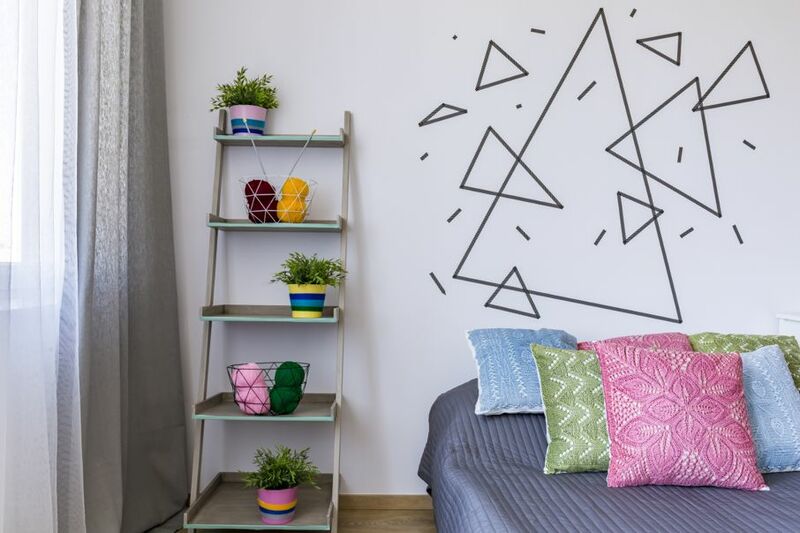 Choose bright colors to add cheerfulness to room, or go with black or gray for a more subdued graphic look. 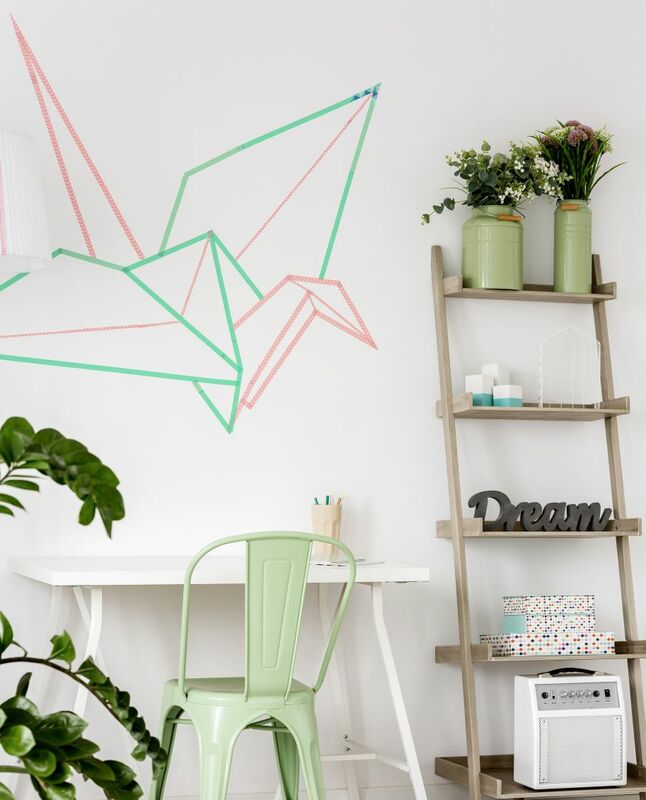 Washi tape is obviously straight, so when designing your wall feature make sure it can be created with straight lines. Stylish options include triangles, a wall of small plus signs, or go a little bolder with a cityscape or geometric mountain range. You can’t find an easier product to install than washi tape. It has just the right adhesive to easily rearrange pieces if needed, but strong enough to last on your wall. Unroll the length you need and stick it on the wall – it’s as simple as that! Smooth it out with your finger as you go to avoid air bubbles. When complete, give the whole design another rub with your finger to ensure it’s fully attached to the wall. If you’re a beginner DIYer, washi tape is perfect for you. If you make a mistake, simply remove that piece of tape and reattach. Or start over, it’s an affordable product so if a little goes to waste it’s not a big deal. You don’t need fancy tools like when applying wallpaper. And you can literally tear it as you go – no need for scissors or razors to cut it. If you’re worried about how your design will look on the wall, trace it out with a pencil and a straightedge first, and then cover your pencil lines with tape. 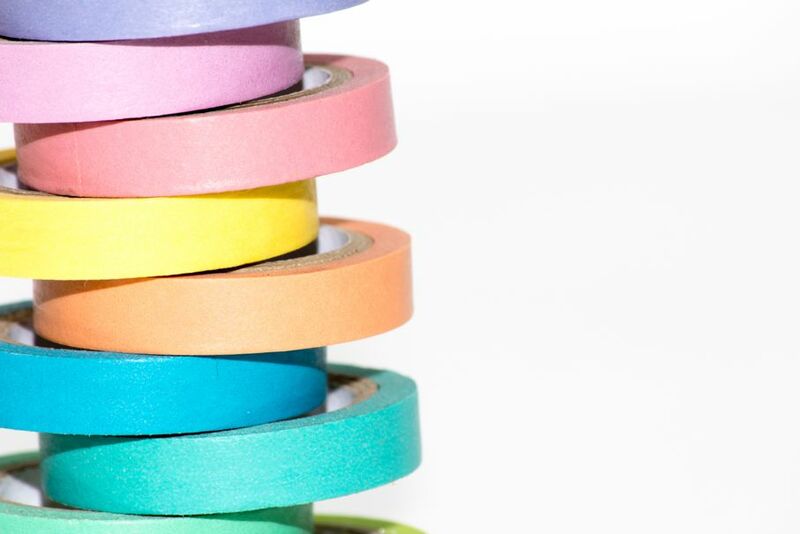 Ready to flex your washi tape muscles? Go for it wherever you need a little extra pizzazz on your walls. It can be great in a kid’s room or nursery due to its playful style. But you can also achieve a sophisticated look with washi tape, with the right design and color choice. You’ll create affordable and one-of-a-kind artwork for your home, and the best part is that when you’re sick of it, you can remove it and try a new design!